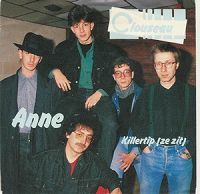 The song Clouseau - Anne is professional recreation. It is not by the original artist. Afscheid van een vriend Clouseau Your browser does not support the audio tag. Als er ooit iets fout zou gaan Clouseau Your browser does not support the audio tag. Altijd Meer En Meer Clouseau Your browser does not support the audio tag. Anne Clouseau Your browser does not support the audio tag. Bergen En Ravijnen Clouseau Your browser does not support the audio tag. Casanova (Wen er maar aan) Clouseau Your browser does not support the audio tag. Daar gaat ze Clouseau Your browser does not support the audio tag. Dat ze de mooiste is Clouseau Your browser does not support the audio tag. De tegenpartij Clouseau Your browser does not support the audio tag. Domino Clouseau Your browser does not support the audio tag. Door de muur Clouseau Your browser does not support the audio tag. En Dans Clouseau Your browser does not support the audio tag. Heb ik ooit gezegd Clouseau Your browser does not support the audio tag. Hier bij jou Clouseau Your browser does not support the audio tag. Ik Geef Me Over Clouseau Your browser does not support the audio tag. Ik zie de hemel Clouseau Your browser does not support the audio tag. Je bent niets Clouseau Your browser does not support the audio tag. Kom naar jou Clouseau Your browser does not support the audio tag. Niets Meer Clouseau Your browser does not support the audio tag. Nobelprijs Clouseau Your browser does not support the audio tag.